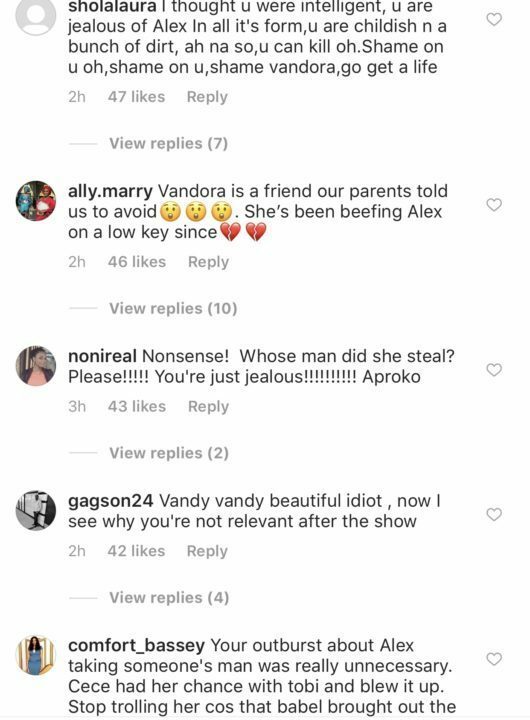 Alex's fan are not putting with some claims made on the Big Brother reunion show yesterday, as they dragged Vandora for calling their favourite housemate a ‘man thief'. 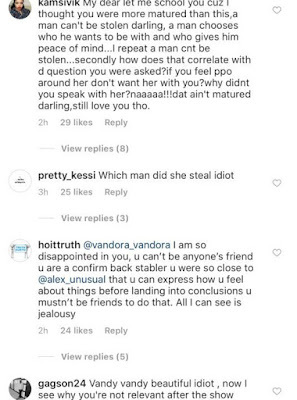 Recall that Vandora who spoke on the concluding part of the show yesterday, said she can’t be friends with Alex because she can’t trust her. 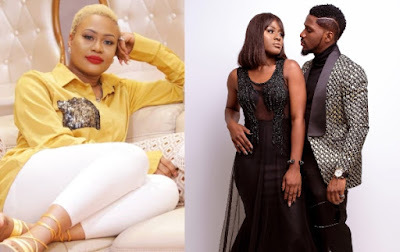 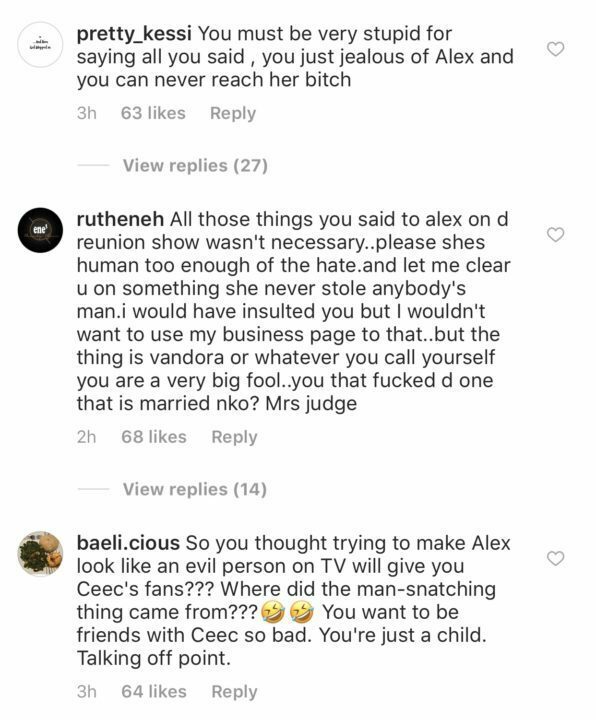 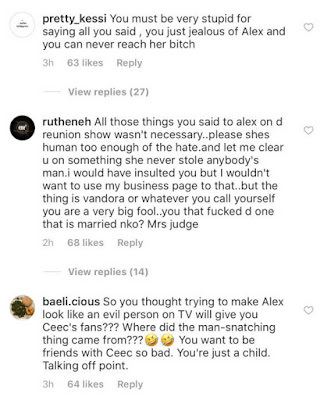 She further accused Alex of stealing Cee-C's man. 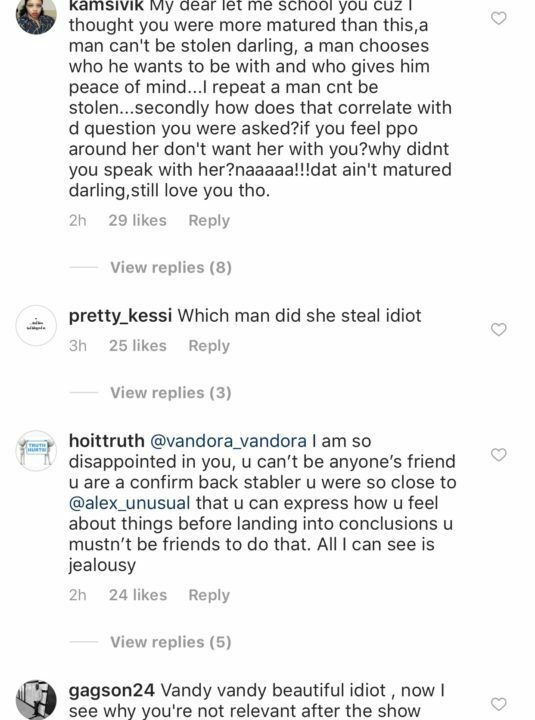 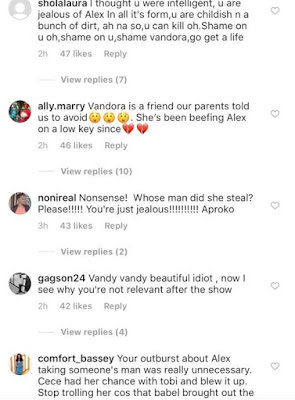 Alex's fans who dragged Vandora for calling her a ‘man thief', accused her of being jealous.